Making the switch from gas or electricity-heated water to more energy-efficient and cost-effective solar power, but don't want panels on your roof? 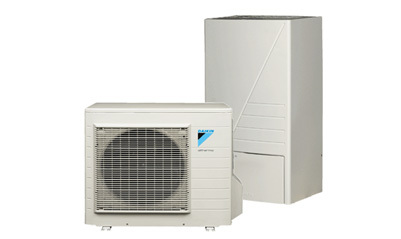 Your best option is a heat pump. You'll have more money in your pocket while making an environmentally-friendly choice. Our superior selection of heat pumps include reputable brands like Sanden, Stiebel Eltron and Siddons. You can purchase a heat pump from NewGen Solar, or take advantage of our supply and heat pump installation offer with one of our qualified plumbers. We can also customise models to suit the requirements and size of your home or business. To make the process even easier, we can use our expertise in rebates and incentives to save you money. We can process rebates on your behalf to make sure you get your maximum entitlement, which in most cases we provide as a point of sale discount. You can find out more from our rebates information page. You will save money! Heat pumps offer considerable savings on hot water expenses. They are highly energy efficient, generating between three and five times more renewable energy than an electric hot water system. Heat pumps produce far less greenhouse gas emissions than other heating methods. You won't require any roof space or panels. Installation is simple: it requires the same inputs and connections as an electric hot water system.